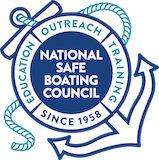 Browse national fact sheets on recreational boating, such as specific safety issues and other countless tips. If you have a question or would like to see a topic include in the resource center, please contact us. Services provided by the NWS for recreational boaters include forecasts for coastal and offshore waters, and the Great Lakes. People may rent powerboats, sail boats, personal watercraft, canoes and kayaks, as well as stand-up paddleboards from rental boat liveries and marinas across the country. A boating emergency can happen anytime, anywhere — and does not only refer to a problem with the vessel, but also to any dangerous situation involving a passenger. Marine debris is any manufactured item that ends up as trash in oceans, lakes, or inland waterways. The life jacket loaner program provides the public with free use of life jackets on a first-come, first-served basis. The VHF radio (very high frequency) is the most common emergency marine communications device, and with good reason. With cooler temperatures, there is added responsibility for boaters to be prepared for unexpected hazards. Stand-up paddleboards (SUPs) come in a variety of shapes and sizes designed for a specific type of paddling. Sun safety is an often overlooked aspect of boat safety. With fishing, cruising, tubing, anchoring, lounging, and entertaining, the time spent on a boat adds up quickly. The official definition of personal watercraft (PWC) varies from state to state, but they are generally recognized as a vessel which uses an inboard motor powering a water jet pump as its primary source of motive power. These are many water sports that involve a boat. Water sports are action-packed, full of fun and thrills, and at other times they can be extreme and dangerous. Sound judgment and preparation is the key to success when planning a bar crossing. There are three primary functions of nature that influence sea conditions on bars and inlets; coastal swell and sea state, long shore currents, bathometry and geography and tides and currents. The requirement to have boating safety education varies by state. The U.S. Coast Guard requires recreational boats to carry a certain number of fire extinguishers. Sailboats are powered by sails using the force of the wind. A powerboat, also referred to as a motorboat or speedboat, is a boat which is powered by an engine. Since collisions are the number one type of accident on the water, boaters should remember these basic navigation rules. Runaway boats are a potential hazard that can be mitigated with a switch or other system. An EPIRB and PLB send a coded message on the 406 MHz distress frequency via satellite and earth stations to the nearest Rescue Coordination Center. Boaters and divers should exercise extra caution to ensure their safety on the water. Every Vessel Safety Check (VSC) is conducted 100% free of charge. Overview of state life jacket requirements for PWCs, boats less than 16 feet, and boats more than 16 feet. One strategy to ensure the public has a safe, secure, and enjoyable recreational boating safety experience is support from law enforcement officers and public information officers in communicating boating safety messages. Exposure to carbon monoxide (CO) in large amounts or even small amounts for a long duration often results in death. Life Jacket	Why Wear A Life Jacket? Life jackets save lives! If a boater is wearing one, their chances of survival from capsizing or a fall overboard will dramatically increase. Life jacket is the preferred term used when talking to the public regarding wearable PFDs. Newer style inflatable life jackets are powered by a CO2 cartridge (replaceable once used), and are cool and comfortable to wear all day while boating. Today’s life jackets come in a variety of shapes, sizes, colors and materials. No matter which life jacket a boater chooses, it should be right for them, their planned activities and the water conditions they expect to encounter. Imagine falling into 40-degree water. If not rescued, a person will die within 30 minutes. Boating safety tips, such as: take a boating safety course, wear a life jacket, beware of carbon monoxide, never boat under the influence, and knowledge of propeller safety.